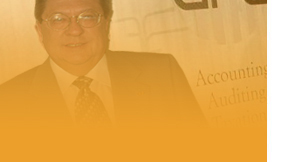 GPG & Associates LLP (referred to as GPG&A) is a full service CPA firm providing audit, tax and accounting services. In addition to traditional public accounting, personal financial planning is a special service offered by our firm. All our services emphasize confidentiality, reasonable rates and professional competency. One stop shopping for financial services is a reality at GPG&A. Our Consultants provide many auxilliary services to both businesses and individuals. Through our Associates, we are able to offer a diversified range of services and experiences previously obtainable only from large national and international CPA firms. Perhaps it is time to make a CPA one of your trusted advisors. Enjoy our web site and feel free to contact us directly or by E-mail with your comments and questions.